Zinedine Zidane surprisingly vacates his position as Real Madrid manager yesterday despite leading the Los Blancos to their third consecutive Champions League glory last week. The Frenchman was believed to remain at Santiago Bernabeu for more seasons despite the team’s poor performances in the domestic League but it was shocking when the manager announced his decision to step down from being Real Madrid boss. While reacting to Zidane’s decision, Madrid president Florentino Perez revealed to newsmen that he didn’t see it coming and he was shocked to part way with the manager, who has been awesome since he took over from Rafa Benitez in the 2015-16 season. Having learnt of his decision to quit Madrid, Chelsea owner Roman Abramovich is reportedly set to hire the Frenchman as Conte’s replacement in the summer. According to the Sun, the billionaire seems to have cooled his interest in ex-Napoli manager Maurizio Sarri, who is widely tipped to replace his compatriot in coming weeks. The Sun also reported that the Blues hierarchy are impressed with Zidane’s managerial approach and achievements and they are willing to offer the 45-year-old a place in the team. 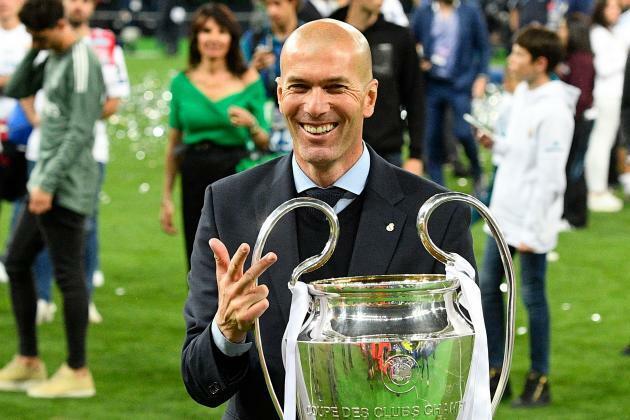 During Zizou’s reign as the Los Blancos manager, he won three back-to-back Champions League trophy, a La Liga glory, Copa del Rey, FIFA Club World Cup trophy among others.